In 1998, the old Manuden Village Hall faced a crisis. Running expenses far exceeded income from lettings and the committee was few in number. Something had to be done. A meeting was held in the hall so that facts could be faced; it was well attended. People came forward to join the committee and Anne Bishop suggested setting up a 100 Club, a village lottery to raise income. The committee agreed to support this venture and a mailshot was delivered through every door in the village under the heading “You can help save Manuden’s Village Hall!” People were asked to buy one or more numbers (for £2 each per month) that would be entered into a monthly draw. It was proposed that half the income would be given out in cash prizes and the other half would be funds raised for the Village Hall, enough to keep it in the black. Anne hoped that 100 numbers would be bought but the 100 Club was so well supported that more than 220 numbers were sold for the first year of the 100 Club – 1999. This enabled prize money to be £100, £50 and £25 each month plus an extra first prize of £200 twice a year. The 100 Club has now been running for 16 years and has raising over £50,000 to date. The old Village Hall was been kept open, refurbished and maintained until its sale in 2015. Since the sale of the old Village hall in 2015 the funds raised by the 100 club have gone to the new Village Community Centre helping it to keep costs down for all the Manuden Village organisations who use it. 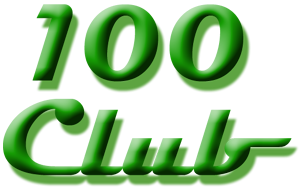 We hope that you will continue to support the 100 Club. If you or anyone else who would like to join, please let me know and I will send them an application form. Thank you once again and good luck for 2016! Please email or phone to receive an application form.